We strongly recommend that parents regularly check the following ‘The how to be (h2b) Safety Centre’ website which provides the most up-to-date information to help you and your family stay safer online. We have included a link to this free information website below. You will need to fill in a simple registration form but the information it provides is invaluable. Please take note that the majority of social networking sites such as Facebook, Snapchat, Instagram, Twitter and many others have a minimum age limit of 13. Should your child have their own account they are not only in breach of the user agreement but at a huge risk of accessing information, content and people that are outside of your control. Harassment or online bullying (“cyberbullying”) on the part of your children or others’. Damage to reputation or future prospects because of young people’s own behavior or that of their peers – unkind or angry posts or compromising photos or videos. Spending too much time online, losing a sense of balance in their activities. Potential for inappropriate contact with adults. 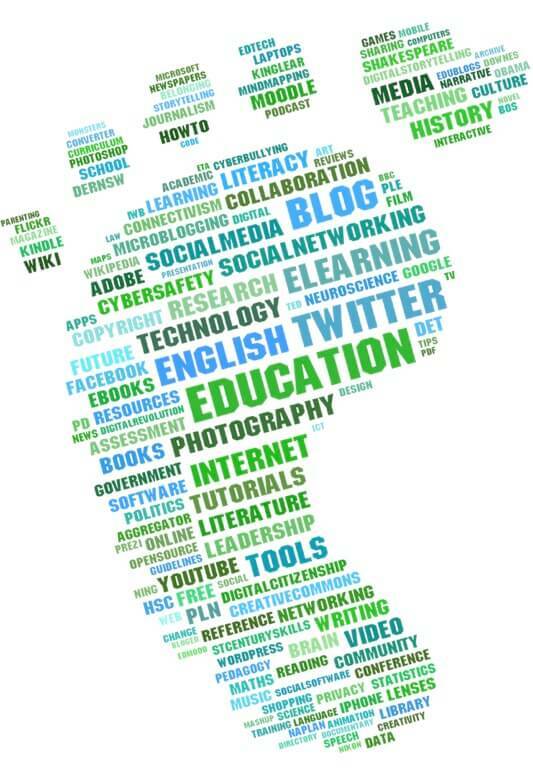 Do you look after your Digital Footprint? We have all heard of the term “digital footprints” but do we really understand what they mean? Essentially a digital footprint is data that is left behind when users have been online. Whatever we are doing on the internet we can leave a trail of information behind us which people can use to determine what we might be interested in buying, or for other less savoury purposes such as trying to hack into our online accounts and trying to access passwords etc. A lot of employers will also use social media to vet prospective employees so it is important that you are mindful as to what you post on any such sites. As the internet becomes bigger and bigger it is becoming increasingly important to think about what might happen to the ownership of the photos that you own and content that you write. Remember that what goes on the internet normally stays there, even if you do delete posts there will be a trail of data that you have left behind. Have a chat with them to find out which sites they visit at home. Let them know what is expected of them and what is a “no go”. Ensure that they know not to post personal details including pictures, holiday details etc. Remind them it is a criminal offence to use the internet to threaten or harass people.